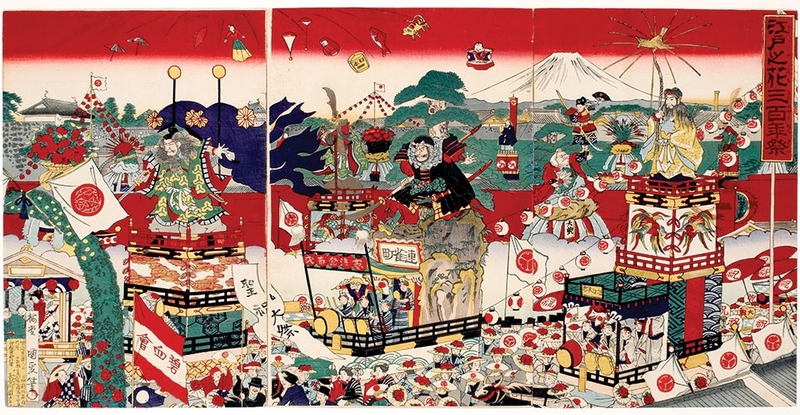 In 1868, Japan underwent a political revolution. With the coronation of Emperor Mutsuhito (known commonly as the Meiji Emperor), the Imperial Family regained political control, and the feudal stratocracy—in which regional lords (daimyo) and a military chief (shogun) ruled the nation for more than 250 years—was replaced with a constitutional monarchy similar to the governments of Hawaiʻi, Sweden, and Belgium. The Emperor welcomed diplomatic relations and commercial trade with other nations—including Hawaiʻi, which was the first country to remove its “unequal treaty” with Japan, thereby internationally recognizing Hawai‘I’s independence. Initially negotiated with King Kalākaua, the treaty was finalized by his successor, Queen Liliuʻokalani in 1893. Immigration of Japanese nationals to Hawaiʻi began in 1868. The first group—141 men, six women, and two children—came to be known as gannen-mono (literally, “people of the first year”). Many were farmers and peasants from southern Japan who, after enduring a series of crop failures at home, envisioned Hawaiʻi as an opportunity for better work conditions and higher wages. Sadly, daily life on the sugar plantations turned out to be far harsher than they had expected. Nevertheless, immigration from Japan persisted, and the Japanese American community is now the second largest ethnic group in Hawaiʻi. The works in this print rotation—whose vibrant, aniline coloration was considered a hallmark innovation of woodblock printmaking during the late 19th century, are intended to celebrate not only the modernization of Japan 150 years ago, but also the profound economic and political success that Japanese American citizens have achieved since then. For more information about this time period in Hawaiʻi, please also visit the special exhibition Hoʻoulu Hawaiʻi: The King Kalākaua Era, on display through January 27, 2019. Made possible by the Robert F. Lange Foundation.